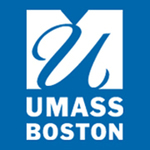 We're a group of student veterans at the University of Massachusetts Boston. We worked together to produce this project as part of a course called "Oral History and the Veteran Experience," taught by Professor Erin Anderson in Fall 2015. Lancelot Chamberlain, Merita Dallta, Halana Espindula da Cunha, Shelita Hayes, Nathanael Haynes, Nathan Heilman, Casandra Najdul, Caleb Nelson, Marc Purdham, Joseph Satterthwaite, Scott Stroh, and Christopher Weindorf.